Pre-sale ticket pricing available until May 15! 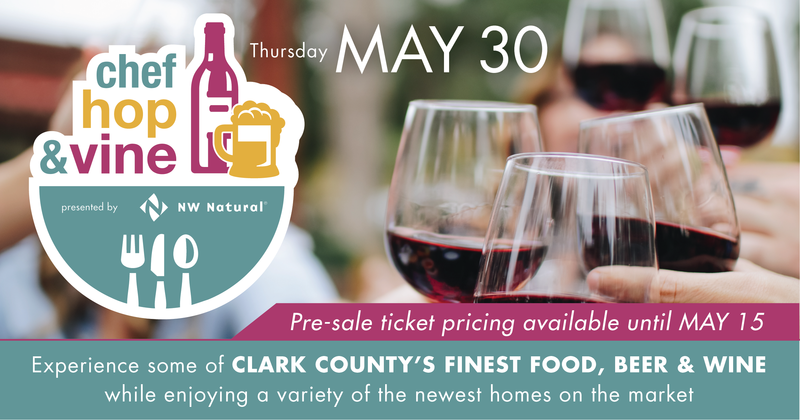 Chef, Hop & Vine presented by NW Natural is the kick-off event for the New Homes Tour. On May 30 tour 5 of Clark County’s newest homes in East Vancouver. Enjoy locally crafted food and beverages while experiencing the latest in home design. A portion of the proceeds from ticket sales benefit Habitat for Humanity | Women Build.